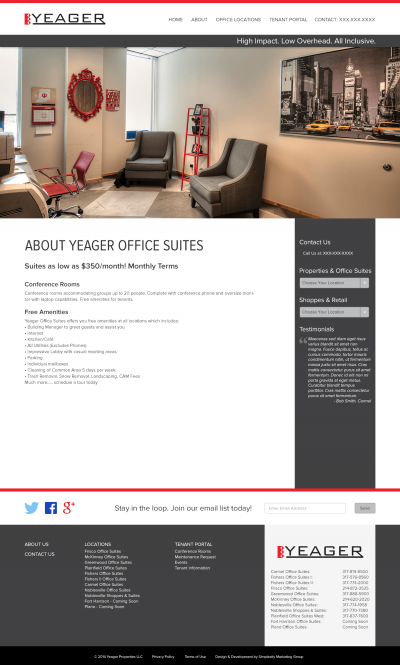 Yeager is the owner of Yeager Construction & Yeager Properties, which is the company that designed and manages the building in which we currently reside. 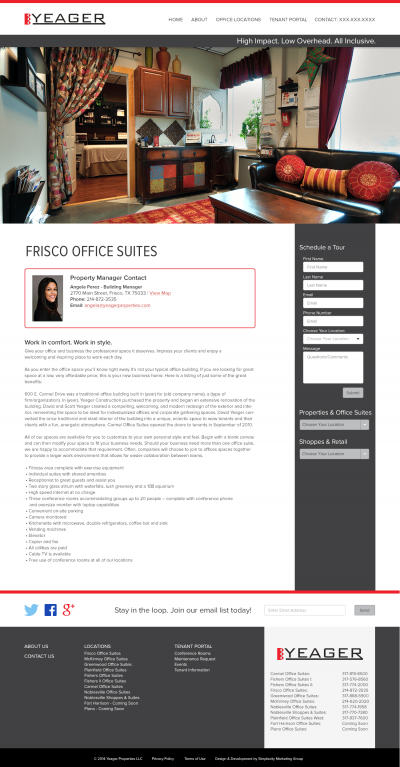 Their two divisions of their property company entail office spaces, as well as retail spaces. They currently have 8 locations throughout Indiana & Texas, with two new locations coming next year. 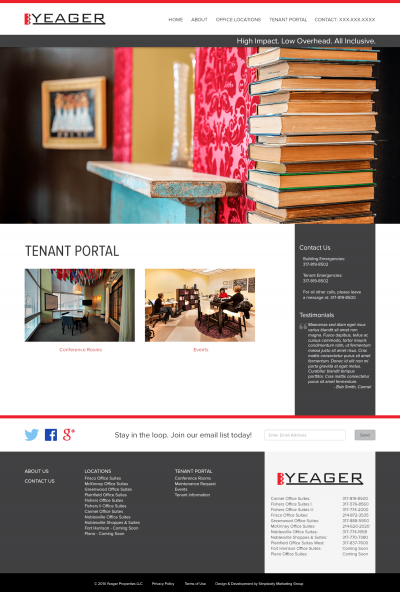 They wanted to update their image, so we gave them a more modern looking website that was easier to navigate. 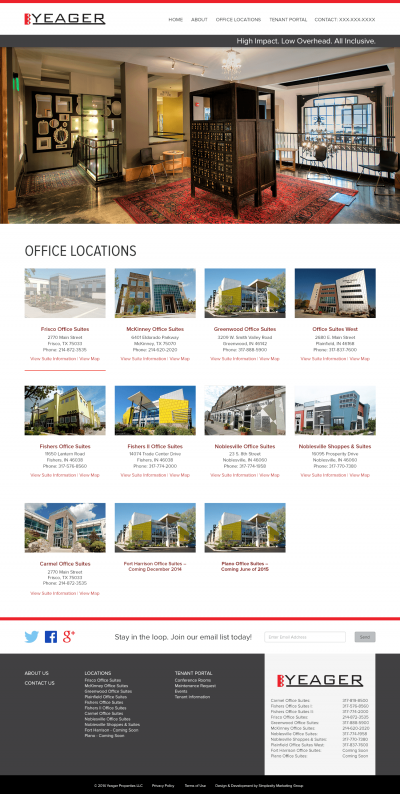 Since the properties have such a fun, unique and energetic design (not like your everyday stuffy office building with blank, white walls and lots of artificial light), we incorporated many more areas for pictures to really showcase these amazing spaces. We also included several links to the various properties and phone numbers throughout the site, so that no matter what page a user lands on, they can easily get to the space they’re looking for.